Airport Vienna Transfer | Reliable Services and Favorable Prices! Welcome to Airport Vienna Transfer! Welcome to VIENNA AIRPORT TRANSFER, we offer the most professional and reliable transfer service to the Vienna airport.! Your transportation means, for either private purposes or for business deals, from and to the SCHWECHAT-VIENNA airport. You can now avoid long waiting lists at the airport and the delays of the private transfer services to the Vienna Airport. It is the simplest way of saving time and starting you vacation with a smile! VIENNA AIRPORT TRANSFER provides you with a large portfolio of taxi transfer services. 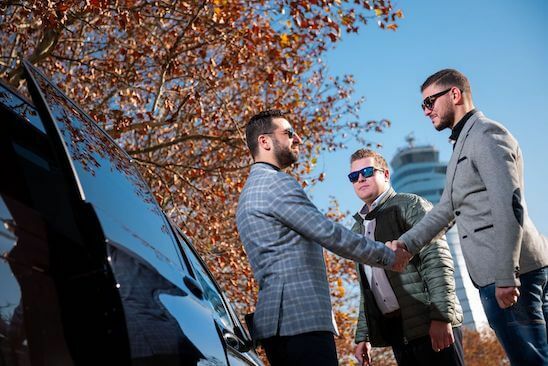 It does not matter if you would opt for family–size taxis (5 to 8 persons), break-type vehicles (1 to 4 persons) with considerable luggage space or a limousine (1 to 3 persons) with less luggage space – the Vienna airport transfer company will definitely be able to meet your needs! Your designated driver will drive you to the individually-determined destination; he will be glad to serve you and will also wear a customized name tag. He will drive you safely and comfortably to your destination. 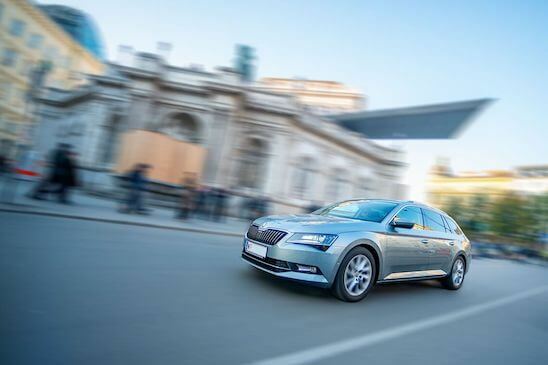 Regardless of whether the location is in Vienna or the surrounding areas, or any other part of Austria or Germany, or basically anywhere, your private designated driver will drive you safely to your destination. All our vehicle fleet drivers speak also English so they may help you with your luggage at any time. Book your Vienna airport transfer now, very easy and online. Our Airport Vienna Transfer service will easily arrive at your door step. Select "to the airport" or "from the airport", insert all relevant data and then get everything done online, very easily and in a matter of minutes. Business deadlines or the trips required in order to attend various events, are not a problem for us, since we will drive you to your festivity /event in due time. Insert your options in the booking form and contact us should you have further questions. We will be glad to help. 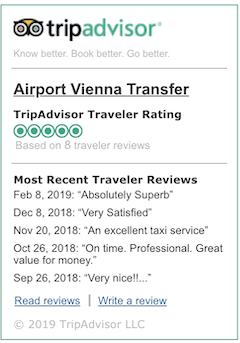 You can also place your reservation for the Vienna airport transfer service quicker, by dialing the available telephone number: +43 664 200 9 531 – the Vienna Airport Transfer team will enjoy taking your call. Really simple and good value. Thank you. The driver Robert from the airport provided a great friendly, welcoming service. Some great tips and a fabulous start to our holiday. Thanks. Overall Rating ★ ★ ★ ★ ★ Very pleasant guy that drove me to the airport, we had good conversation. He was exactly on time and a good driver. Love this company. They are the best in Vienna. Always on time. Will my vehicle be shared or is it private?